Voting is now open for the 2012 Canadian Blog Awards. This is just round 1 and voting closes November 1st, 2012. My Sardinian Life has been nominated for Best Travel and Expat Blog and now it’s time to make your votes count! Click the following link to vote for My Sardinian Life. 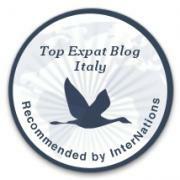 On the bottom right hand column you will see Best Travel and Expat Blog>click to open>select My Sardinian Life. You can only vote once, so make it count. Remember this is just Round 1 and voting closes November 1st, 2012. My Sardinian Life thanks all voters from the bottom of my expat Canadian heart.